The amount of WEEE thrown away is increasing by around 5% each year, making it the fastest growing waste stream in the UK. 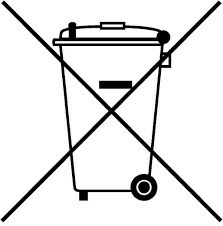 *Crescent Building Supplies are only obliged to take back items that are used for domestic/household purposes, we are not obliged to accept any items used for commercial purposes. Crescent Building Supplies are not responsible for the cost of collecting any items.